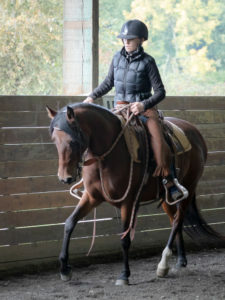 Joel Conner teaches using horsemanship methods passed down by such legends as Tom Dorrance, Ray Hunt, and Buck Brannaman. 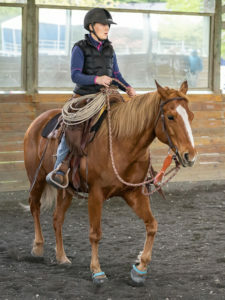 In the last three years, Joel has started or re‐started many SAFE horses and helped them overcome fears and other issues through clear communication and understanding. 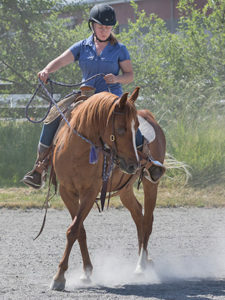 He’s also extremely committed to helping SAFE volunteers develop their skills as horse handlers and riders. Joel travels to SAFE from his home in Ellensburg four times per year to put on clinics for SAFE horses and riders. His teaching promotes safety for our volunteers, consistent handling for our horses, and is directly responsible for the increase in adoptions that we are seeing at the rescue.